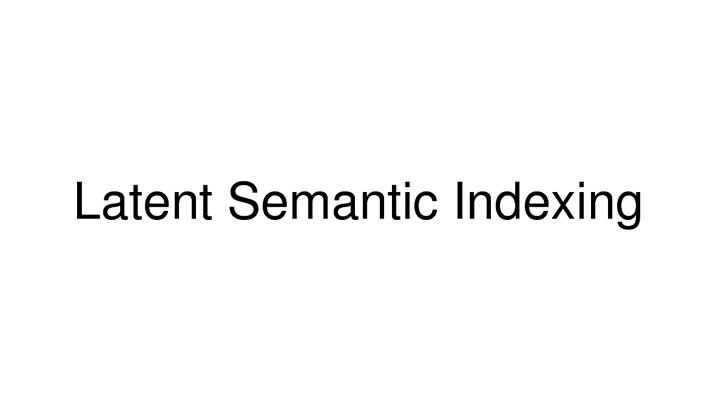 Latent Semantic Indexing or LSI is a very significant technique used by search engines like Google to determine the topic of your website by looking at all the keywords and seeing how they relate. LSI became popular with its use by Google, mainly for the purpose of detection of spam and for detection of excessive use of keywords to fool the search engines, to get a high listing. Earlier people have used it, to make use of rotating synonyms into which keywords could be multiple inserted. You can make good use of this technology, to get better rankings. Web masters can make use of this technology, while developing content for their websites and ensure that they use keywords and terms, which are interpreted as expert and relevant content by search engines and the site given a high ranking. Using synonyms is preferable today, rather than using the same keyword to achieve certain keyword density. Search engines like Google prefer quality expert writing and you may achieve this by wisely using related terms and synonyms throughout the page. Another benefit of using different keywords is that it allows you also to consider rankings for different keywords.